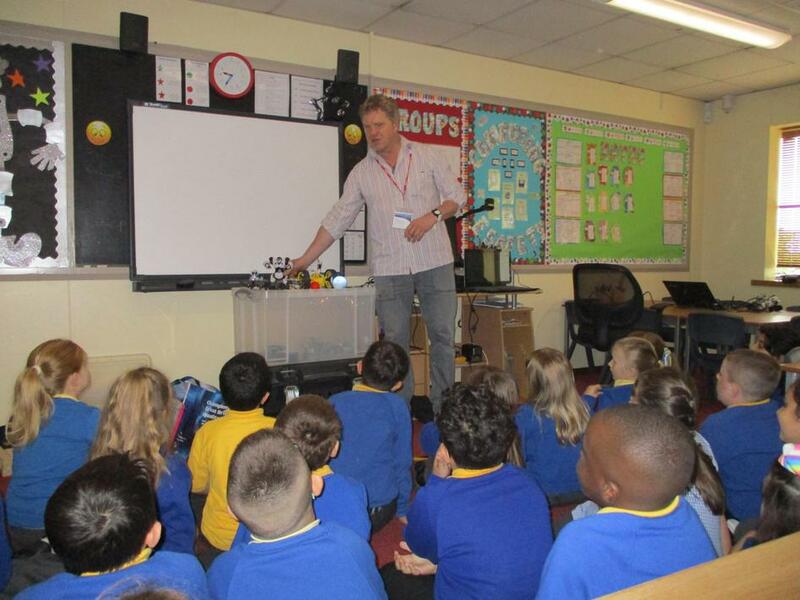 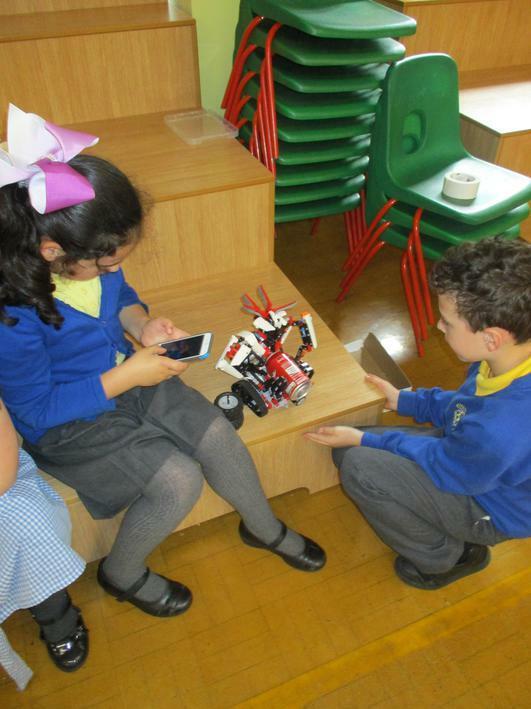 This half term the children were fortunate enough to have a visitor who came in to school to lead a 'Rise of the Robots' workshop. 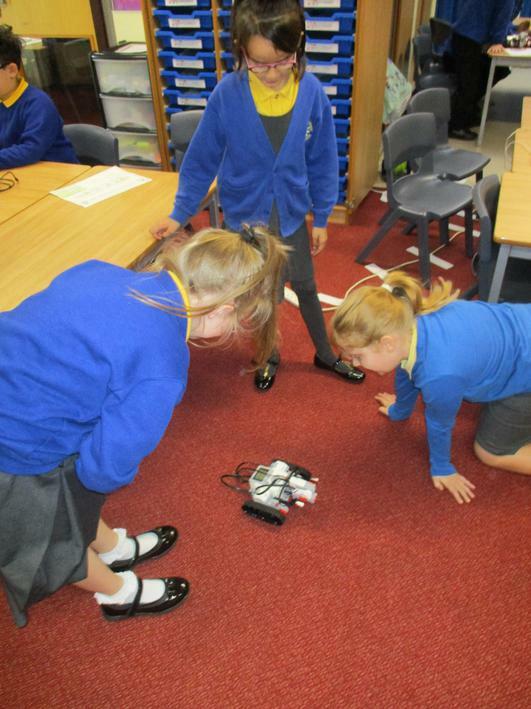 The day began with learning about different Robots from the past and the uses for them. 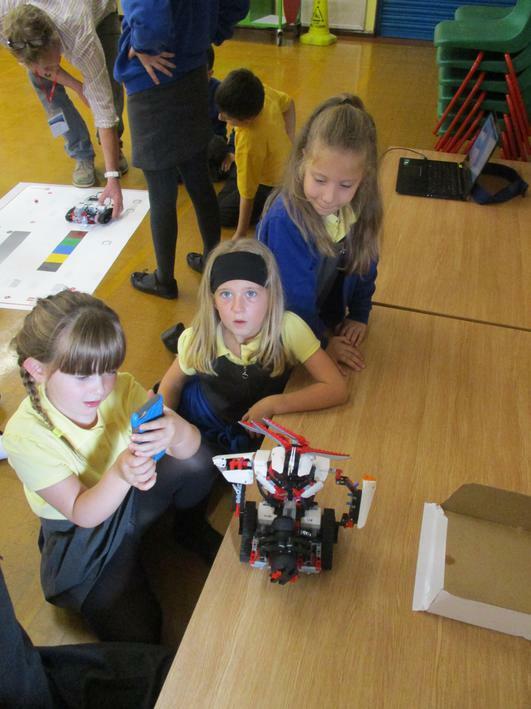 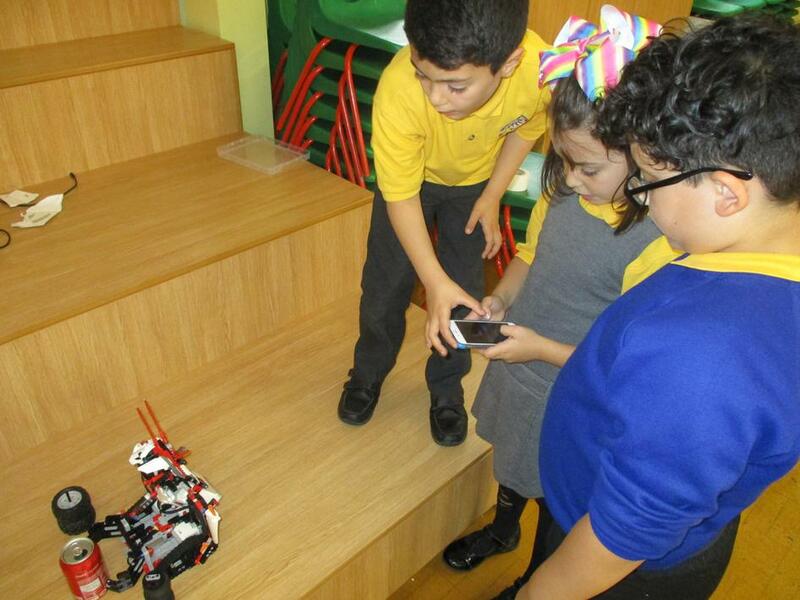 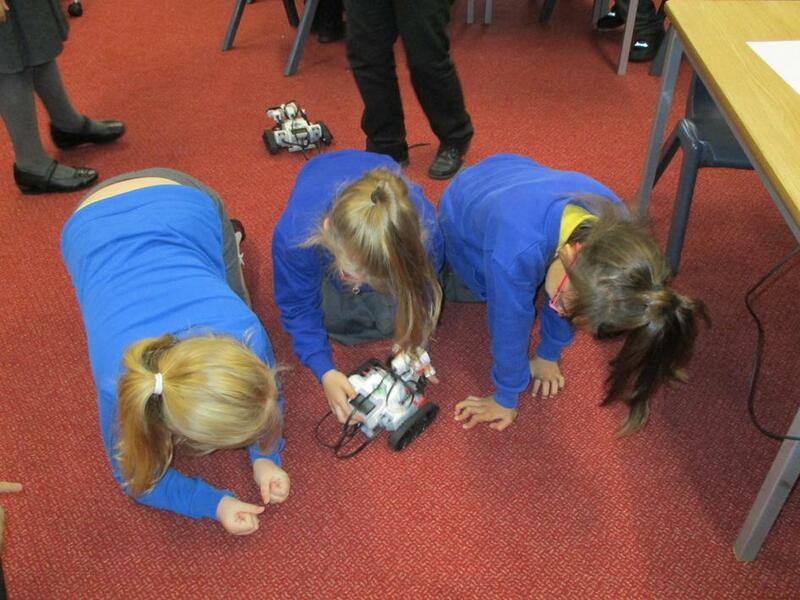 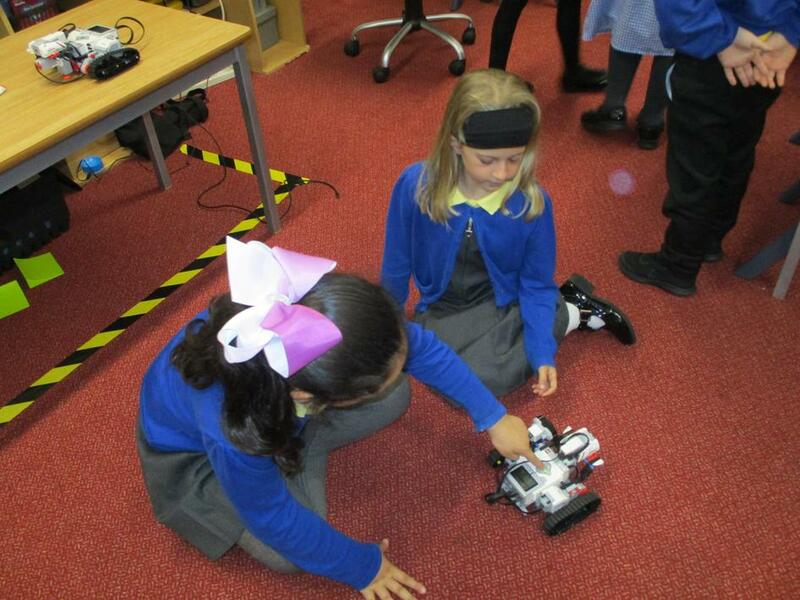 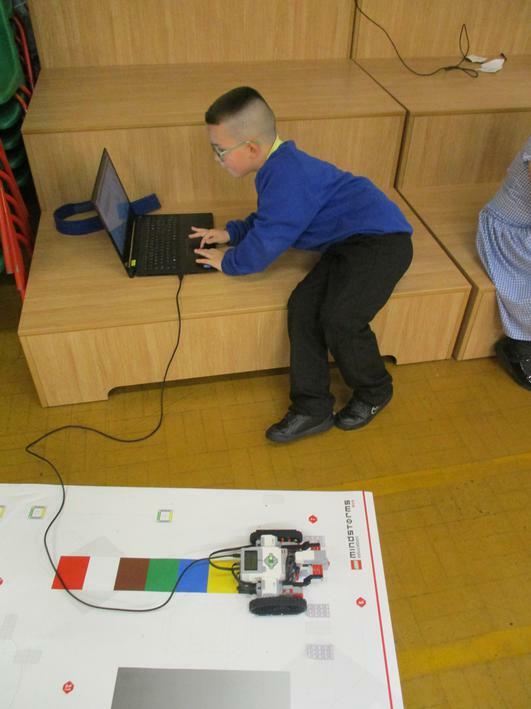 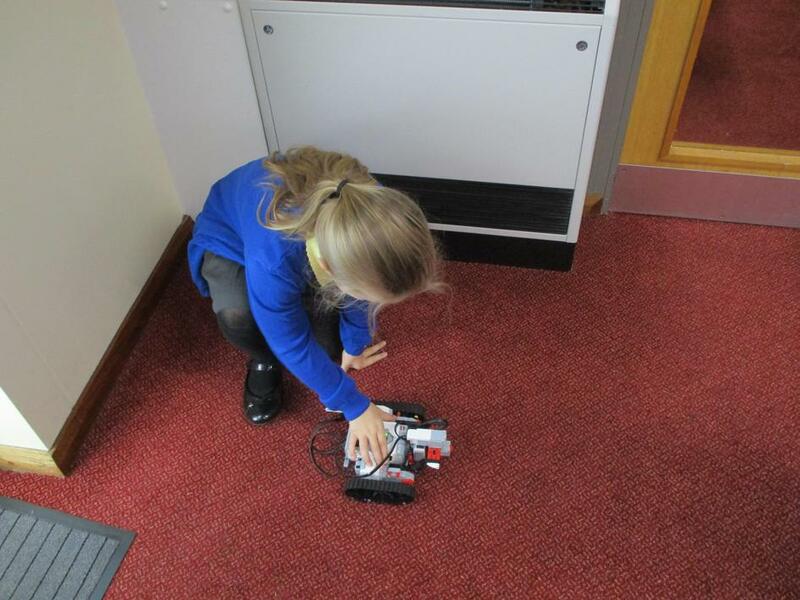 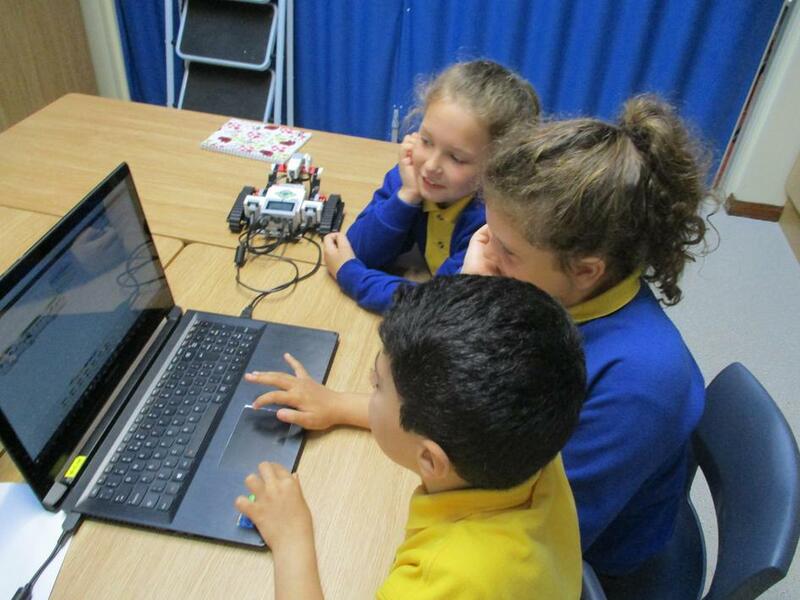 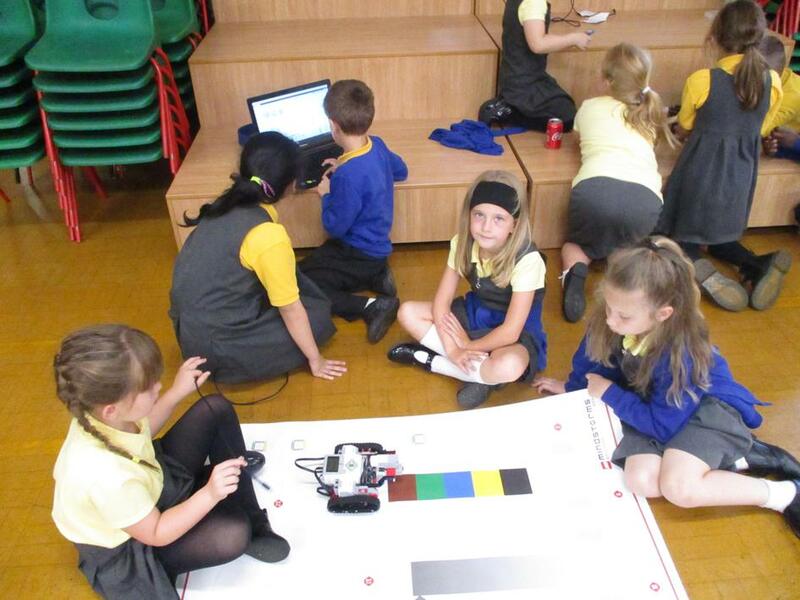 Following on from this, the children learnt how to programme Robots to do different jobs e.g. 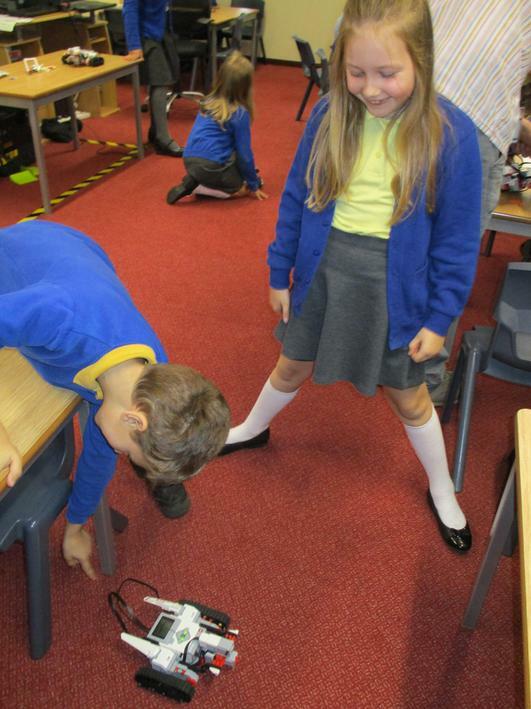 cleaning the tables. 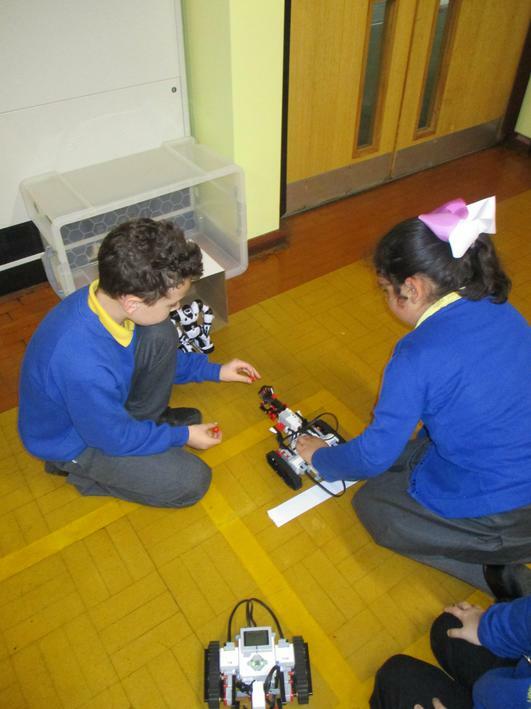 They worked in partners to send different commands to the Robots and then watched their Robots work! 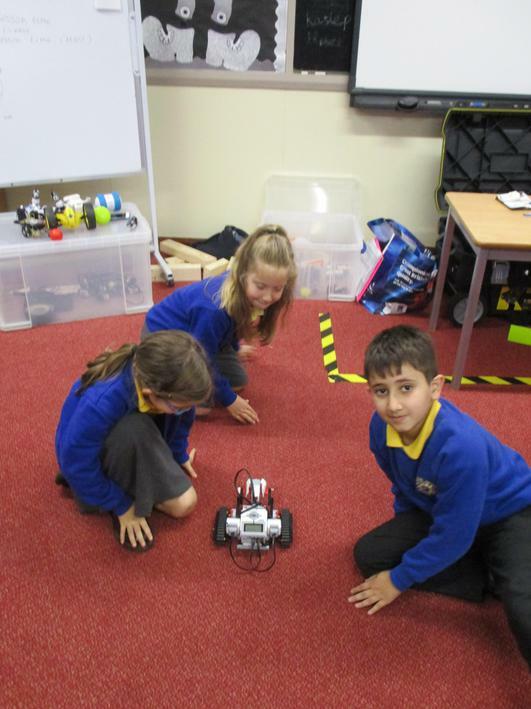 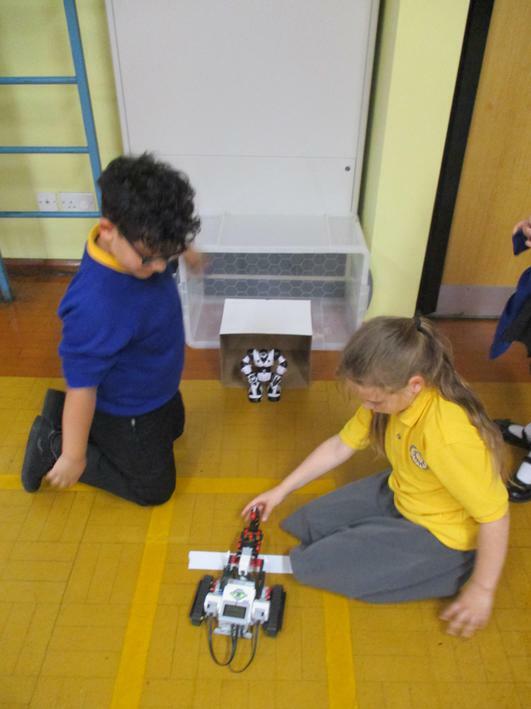 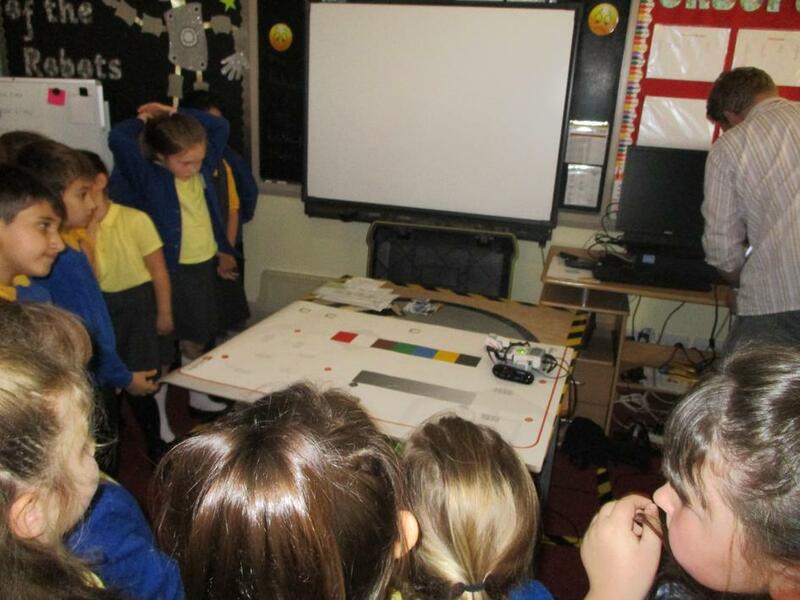 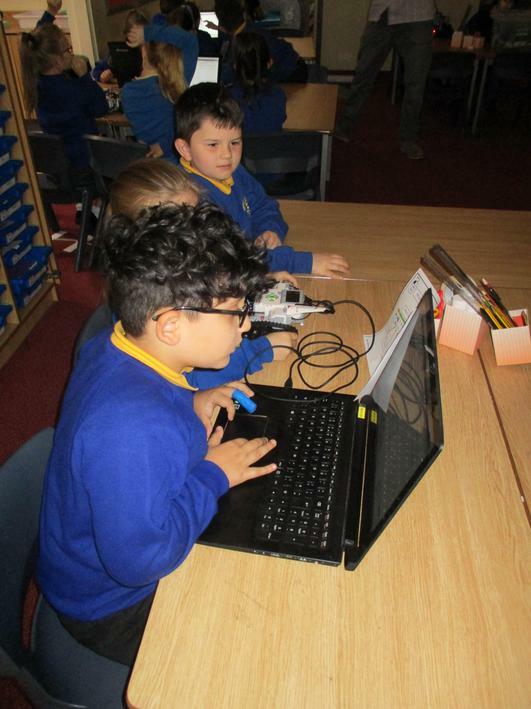 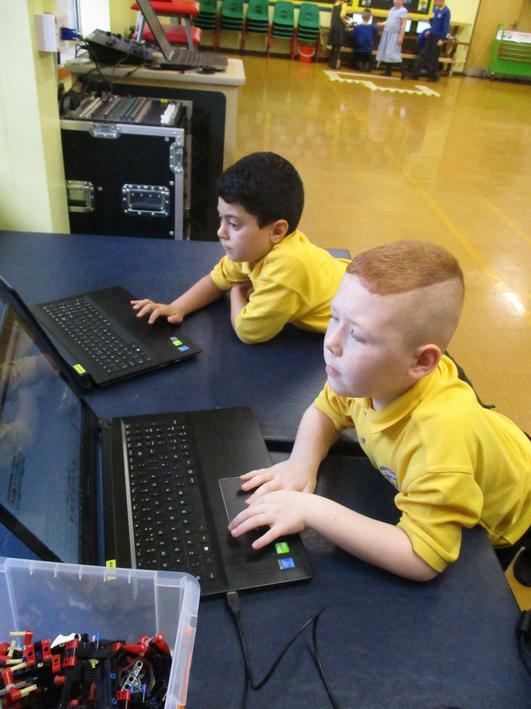 The children all did really well at programming the Robots as it was quite technical but the children all persevered and worked incredibly well in pairs. 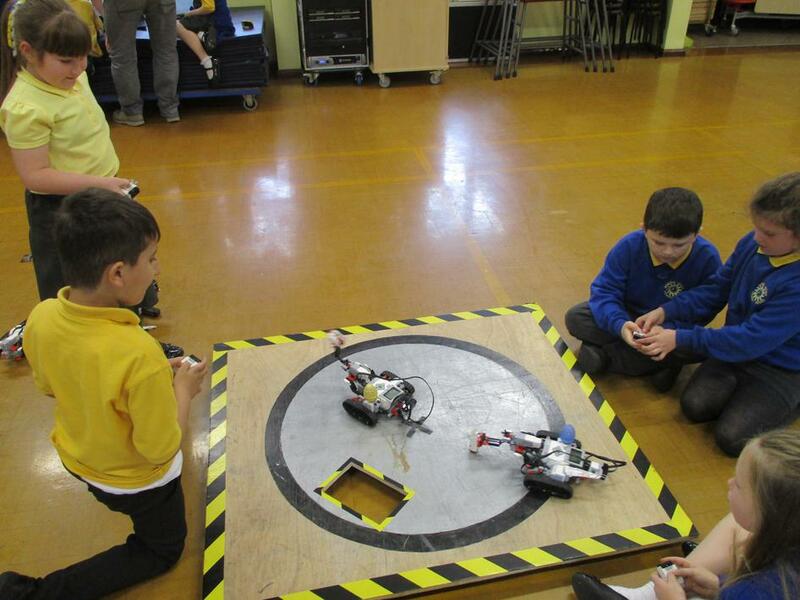 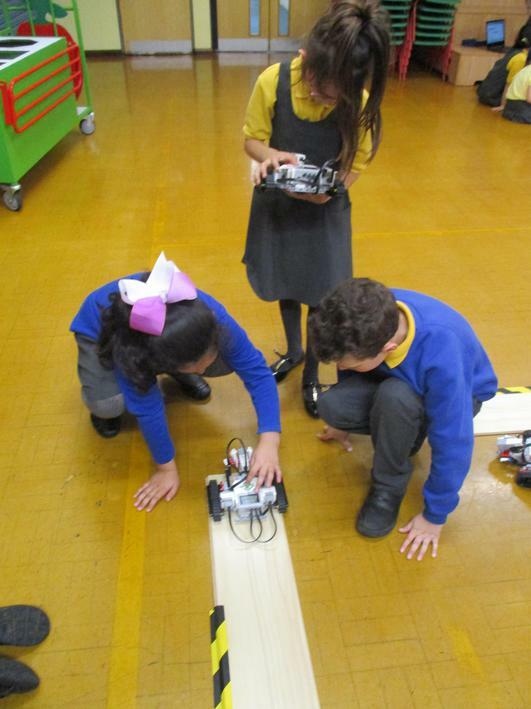 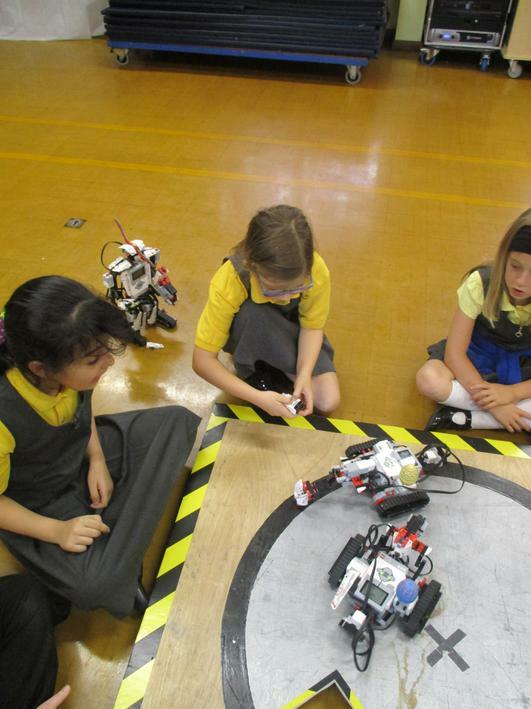 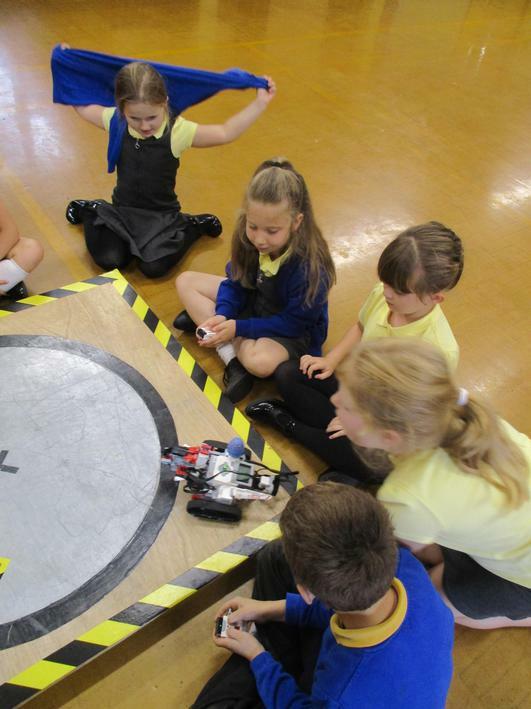 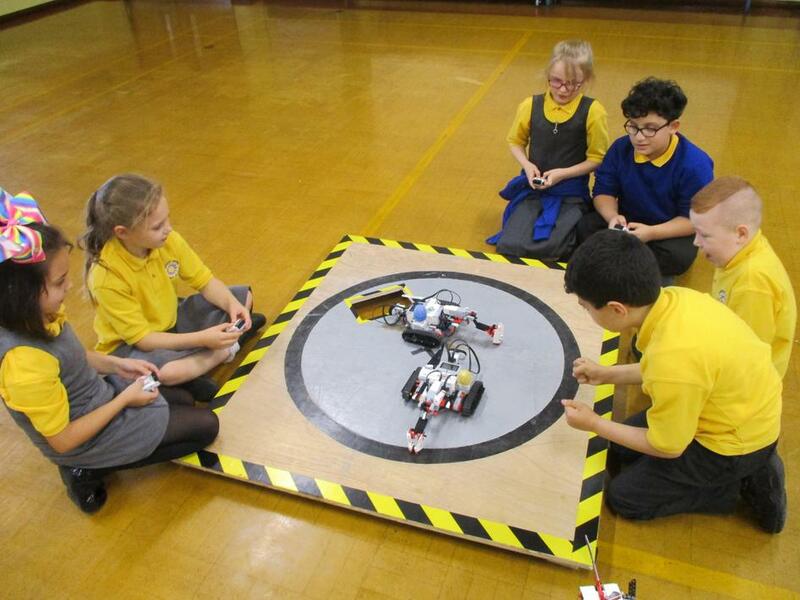 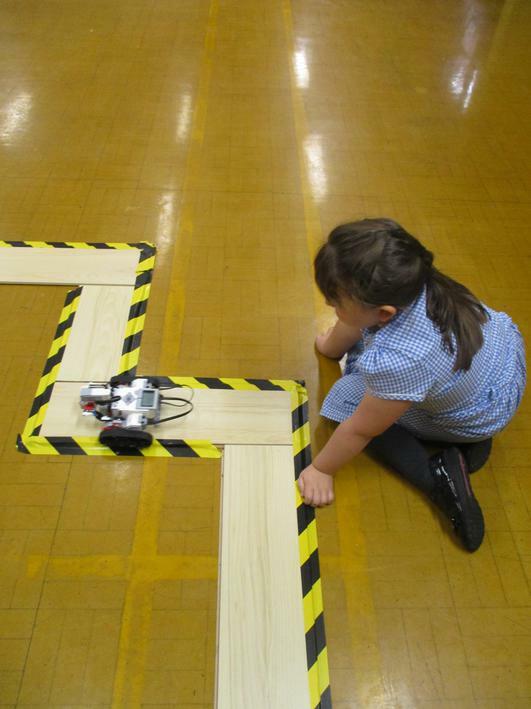 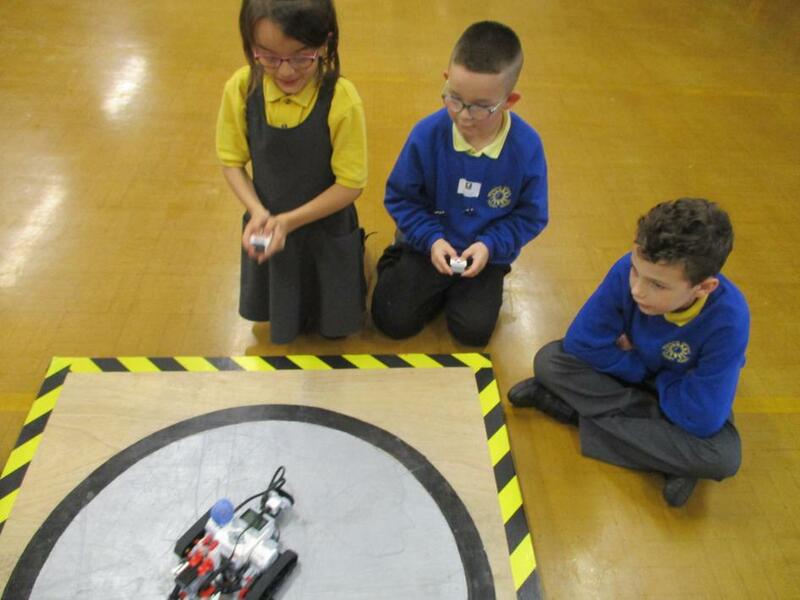 In the afternoon, the children went in to the hall and were given the opportunity to participate in 'Robot Wars'. 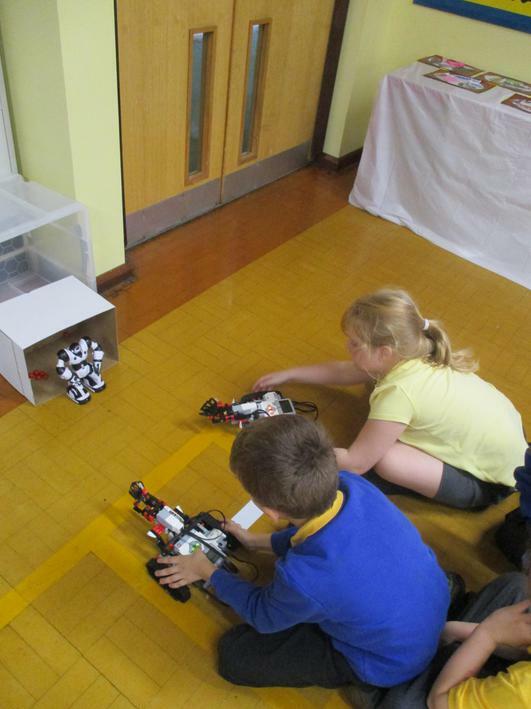 All the children loved this and were so engaged!